Digging into all the families that have lived in Bellevue is interesting and rewarding, although, one finds a quite huge amount of details and just want to keep digging down. 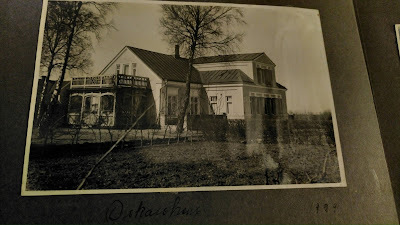 Today, I met one of the descendants of Lars Larsson, who with his family lived here 1919 - 1928. Or better, he owned the house during that time frame but lived quite shortily here. 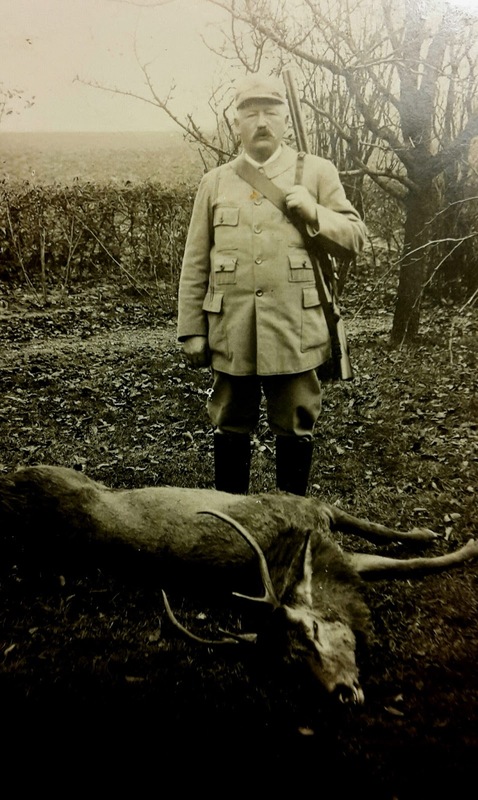 Lars, who was a farmer rooted in Esarp, bought Bellevue 1919. 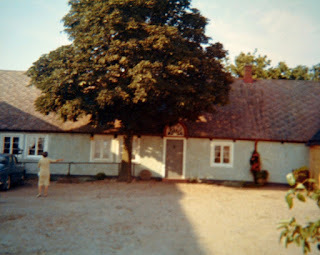 They lived here until 1920, for the moving to Oscarshem in Lund. They never came back to steadily live in Bellevue. 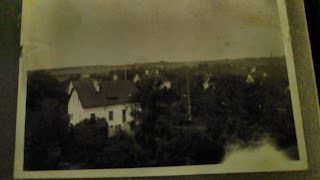 They rented the house to different families and moved back to Esarp. 1928 they went bankrupt (or something similar) and sold both Oscarshem and Bellevue. 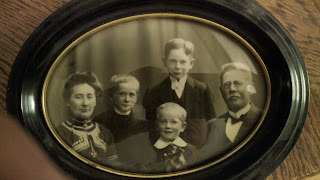 Lars had three sons born around the turn of the century 1900. Nils Lorenz, Lars Erik and Knut Oskar. Nils, who was 20 when he moved in Bellevue, was studying at Hvilan as a farmer. He got his first car then, possibly one of the few cars in the whole of Åkarp, and that makes me believe that the garage belonging to Bellevue, was built around that time frame. 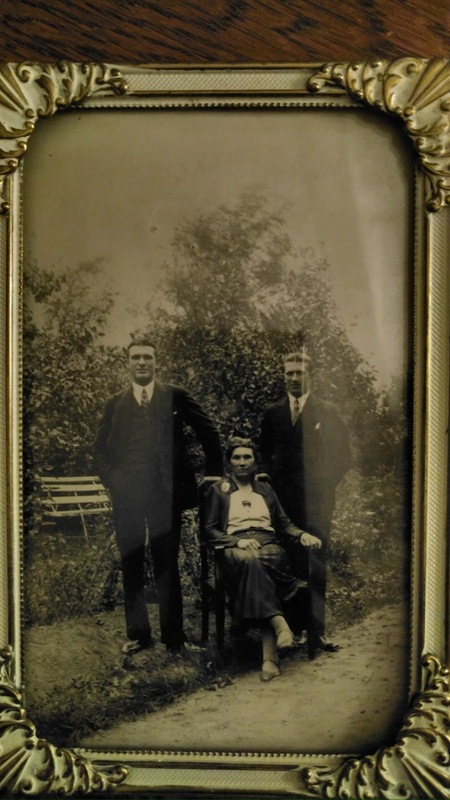 I have discussed details about this family with different people who are grandchildren to one of the three brothers, so I have managed to collect different details. 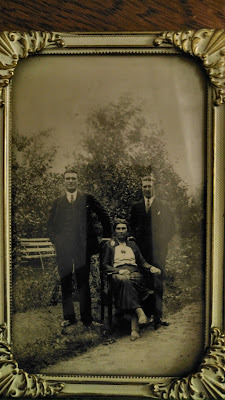 Two brothers and the mother? I will make it short today, for the focusing on the three brothers' families. 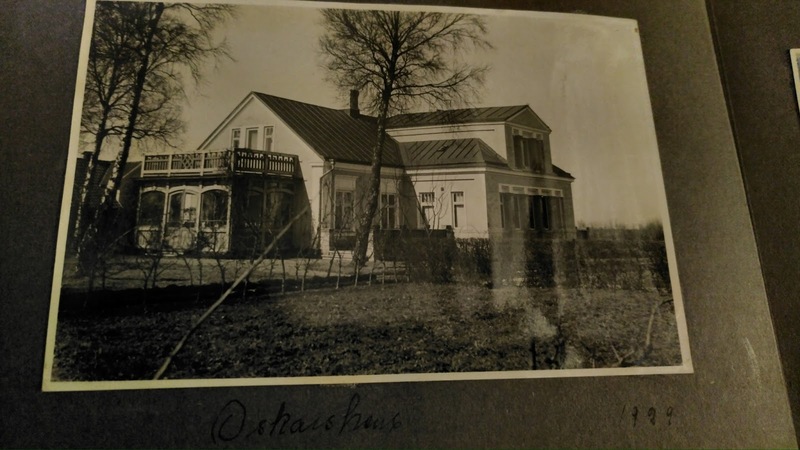 Lars started his career as an åbo (someone living and working the land of someone else, if I have understood right) for them becoming a proper farmer, with his own piece of land. 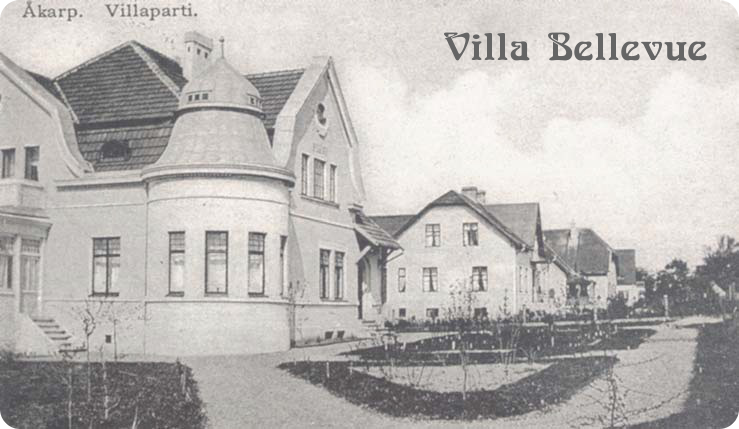 It seems things were going fine, owning a manor in Esarp, for then buying both Bellevue and Oscarshem. 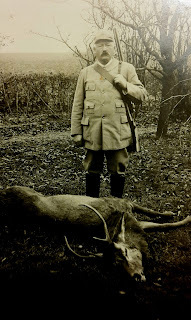 He was interested in hunting passion that he shared with one of the three sons. What happened when he went bankrupt and why is still unclear.